Pulses are an earth friendly food. They have a low carbon footprint and are a water-efficient source of protein. Pulses also improve soil health by feeding soil microbes. “When farmers grow pulses, they feed millions of people in a way that actually gives back to the land. 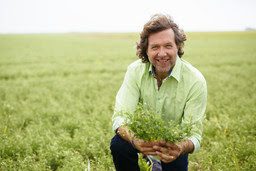 Pulses, in partnership with a range of other foods, represent how Canadians can make a positive impact on the environment,” says Denis Tremorin, Director of Sustainability at Pulse Canada. In addition to being good for the planet, pulses are a low-fat source of protein, fibre and many vitamins and minerals. Pulses are an affordable part of a healthy diet and play an important role in the management of diet-related diseases like diabetes and heart disease. 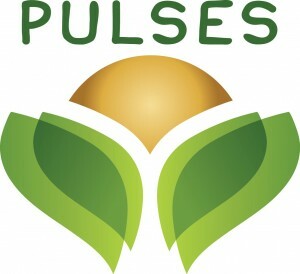 More information about pulses can be found at www.pulses.org. The Food and Agriculture Organization of the United Nations (FAO) celebrates World Food Day each year on 16 October to commemorate the founding of the Organization in 1945. Events are organized in over 150 countries across the world, making it one of the most celebrated days of the UN calendar. These events promote worldwide awareness and action for those who suffer from hunger and for the need to ensure food security and nutritious diets for all. According to the FAO, the global population is growing steadily and is expected to reach 9.6 billion by 2050. To meet such a heavy demand, agriculture and food systems will need to adapt to the adverse effects of climate change and become more resilient, productive and sustainable. Pulses are in the spotlight in 2016 as the world celebrates International Year of Pulses. The United Nations declared 2016 the International Year of Pulses (IYP) to celebrate pulses’ contribution to health, nutrition and environmental sustainability. Canada is the world’s largest producer and exporter of dry peas and lentils and a major supplier of pulses to over 150 countries around the world, and plays an important role in sustainable food production. According to the World Wildlife Fund (WWF), the production of food has the largest environmental impact of any human activity. Pulses are among a small group of crops that draw their own nitrogen from the air we breathe. As a result, pulses require less commercial nitrogen fertilizer than other crops. Pulses are able to do this through a symbiotic relationship between the nitrogen fixing soil bacteria and the legume root. Pulses are efficient users of water. They require only 1/2 to 1/10 the water needed to produce other sources of protein. Many pulses are adapted to dry environments making them well suited to dry environments such as the Canadian Prairies. Growing pulses in rotation with other crops like wheat and canola enables the soil to support larger, more diverse populations of soil organisms that help maintain and increase soil fertility. Pulse Canada is the national association representing growers, traders and processors of Canadian pulse crops (peas, beans, lentils and chickpeas). 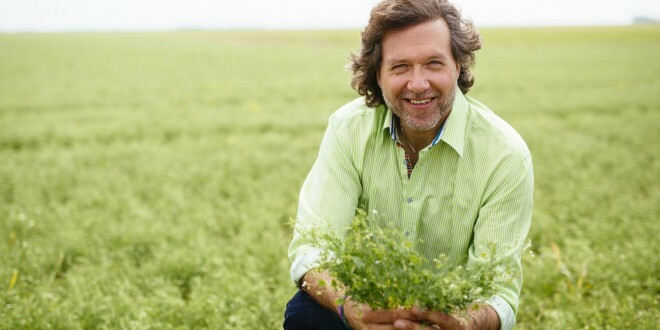 “Chef Michael Smith in a field of Canadian lentils. (CNW Group/Pulse Canada)”. “Global Pulse Brand (CNW Group/Pulse Canada)”. Please do not reply to this email. This is an outgoing message only. If you wish to stop receiving these types of messages from us, you canunsubscribe at any time. S’il vous plaît ne pas répondre à ce courriel. Il s’agit d’un message sortant seulement. Si vous ne souhaitez plus recevoir ce type de messages de notre part, vous pouvez vous désabonner à tout moment.